Venerable Khenpo Kalsang Gyaltsen is the spiritual director of Sakya Phuntsok Ling Centers for Tibetan Buddhist Study and Meditation. He is a widely recognized and accomplished teacher and translator of Buddhism. His Holiness Sakya Trizin and other high lamas of the Sakya Order have repeatedly praised his Dharma activities as exemplary. As a youth, Khenpo Kalsang met his first teacher, Venerable Tharig Tulku Rinpoche, and from him received novice ordination and monastic and religious training. He received full ordination and advanced religious training from His Eminence Luding Khenchen Rinpoche. After assisting Venerable Tharig Tulku Rinpoche in building the first Sakya monastery in Kathmandu, Nepal, Khenpo Kalsang served as assistant abbot, teacher of young monks, disciplinarian and also held other religious offices. He continued to pursue advanced Dharma study, requesting and receiving many special teachings in both sutra and tantra from His Holiness the Sakya Trizin, His Eminence Luding Khenchen Rinpoche, His Eminence Chogye Trichen Rinpoche, Venerable Khenpo Appey Rinpoche and Venerable Khenpo Rinchen. From His Eminence Dezhung Rinpoche, he also received many special Sakya oral instructions. In recognition of his accomplishment of study and meditation, His Holiness the Sakya Trizin requested Khenpo Kalsang to lead the meditation training sessions during His Holiness’ bestowal of the precious Lam Dre teaching cycle in Friday Harbor, Washington in 1995. At the request of His Holiness the Sakya Trizin and his own students, Venerable Khenpo Kalsang Gyaltsen has translated numerous major Sakya texts into English. These include His Holiness’ autobiography, the Hevajra Cause and Path Initiations, the Anatomy of the Lam Dre Teaching and numerous other tantric texts, sadhanas and prayers. His Holiness the Sakya Trizin chose Khenpo Kalsang to provide simultaneous English interpretation when he bestowed the Collection of All the Sadhanas teaching cycle in Kathmandu in 1994. Khenpo Kalsang has also served as interpreter for the teaching tours of His Eminence Luding Khen Rinpoche, His Eminence Dezhung Rinpoche and Venerable Tharig Tulku Rinpoche. 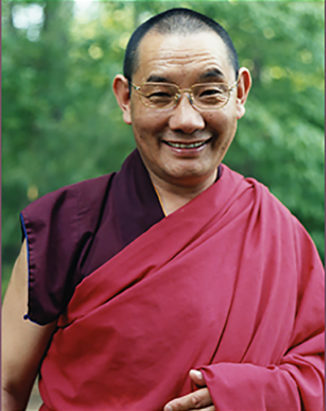 In 1986, at the request of students in the Washington, D.C. area, Venerable Khenpo Kalsang Gyaltsen established Sakya Phuntsok Ling Center for Tibetan Buddhist Studies and Meditation. 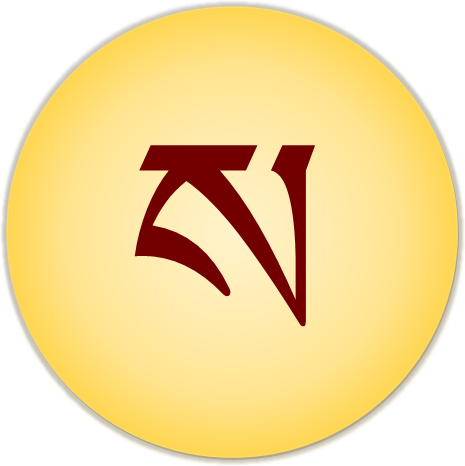 With the blessings of His Holiness the Sakya Trizin and His Eminence Dezhung Rinpoche and the expert teaching and wise guidance of Venerable Khenpo Kalsang Gyaltsen, Sakya Phuntsok Ling has flourished, and the Center’s activities have been praised by His Holiness and other high lamas of the Sakya Order. Venerable Khenpo Kalsang Gyaltsen continues to teach and guide students at Sakya Phuntsok Ling, in Silver Spring, Maryland, near Washington D.C. He is active in translation of Sakya texts and travels regularly to give teachings at Sakya centers in the United States.